A monument, situated in front of the present MacGregor Elementary School, commemorates MacGregor School, formally established in September 1883 with a building erected at NW33-11-10W in 1886. 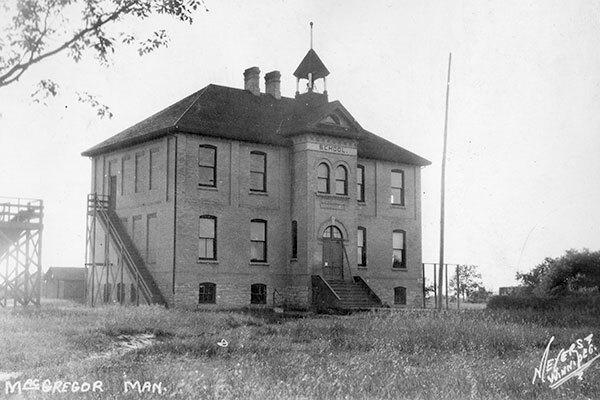 It was replaced by a structure designed by Winnipeg architect H. S. Griffith, and constructed around 1903. 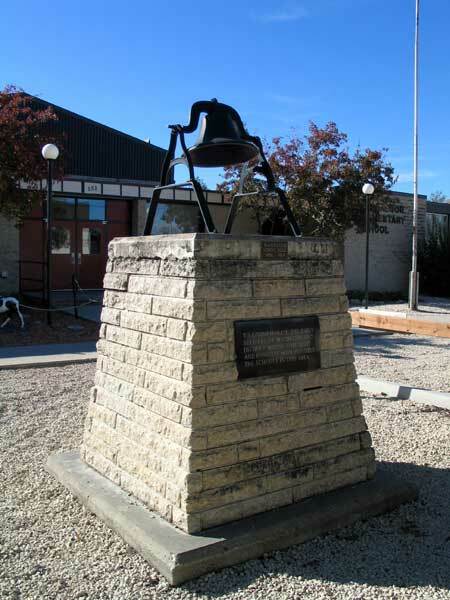 The original school bell sits atop the monument. 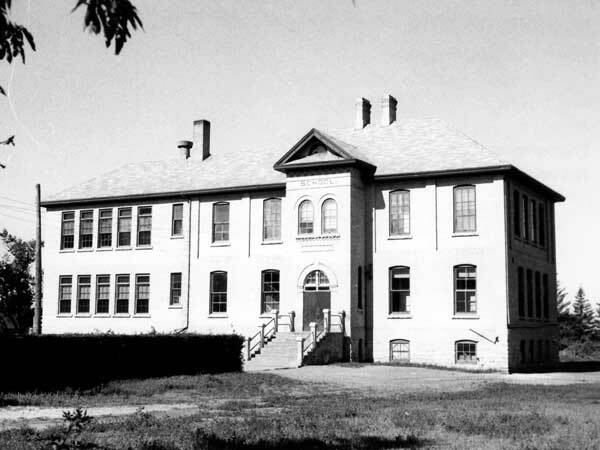 As of 1 January 1965, it became part of MacGregor Consolidated School No. 2434, along with several schools in the vicinity, including Beaver Creek School No. 103, Birmingham School No. 2086, Chipping Hill School No. 488, Emmeline School No. 683, Image Creek School No. 712, Macaulay School No. 1159, Path Head School No. 675, Southend School No. 1158, and Squirrel Creek School No. 76. Among the teachers at MacGregor School were Wilfrid B. “Wilf” Book (1938-? ), Agnes S. Crickard (1953), John Alfred Hammond, and William J. Grant (c1896). GR8461, A0233, C131-1, page 85. Source: Archives of Manitoba, Architectural Survey - MacGregor 1.